Beau Lodge in South Cerney, Cirencester sleeps 6 people. 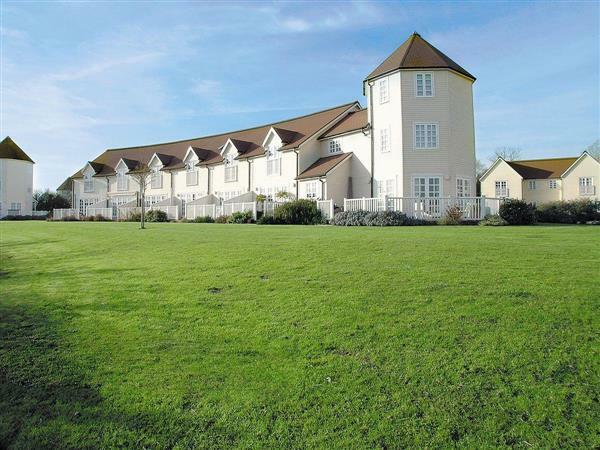 This property is within the Cotswold Water Park and has its own decking overlooking the lake. Leisure activities on-site. Within walking distance are lakeside brasserie, health club, walking, water skiing, birdwatching and fishing. Golf courses & Keynes Country Park a short drive away. There is also a network of bridleways, cycle ways and footpaths to explore. Local family attractions include Neighbridge Country Park and the 160 acre Cotswold Wildlife Park making it a fantastic holiday destination. Shop 1½ miles, pub nearby. Ground floor: Living room with French doors/dining room. Kitchen. Separate toilet. First floor: 3 bedrooms: 2 double, one (5ft) with en-suite shower room and toilet. 1 twin. Bathroom with shower over bath and toilet. Gas central heating and electric included.Bed linen hire.Videos. Stereo/CD. Electric cooker. Microwave. Washer/dryer. Dish washer. Fridge/Freezer. Sitting-out area and furniture. Barbeque. No smoking please. Holidays run from Friday to Friday. NB: Lake 10 yards away. For a better idea of where Beau Lodge is, you can see Beau Lodge on the map below. Beau Lodge is in Gloucestershire; should you be on the lookout for a special offer, you can find all the special offers in Gloucestershire. It's always worth checking to see what is on offer at the moment. Do you want to holiday near Beau Lodge (19326), you can see other cottages within 25 miles of Beau Lodge; have a look to find your perfect holiday location.